I love the excitement of the back to school season! I always looked forward to my new college classes, and now working in education, it's absolutely amazing to see how excited all of the students are! And in true form, I love the style component of it all too... 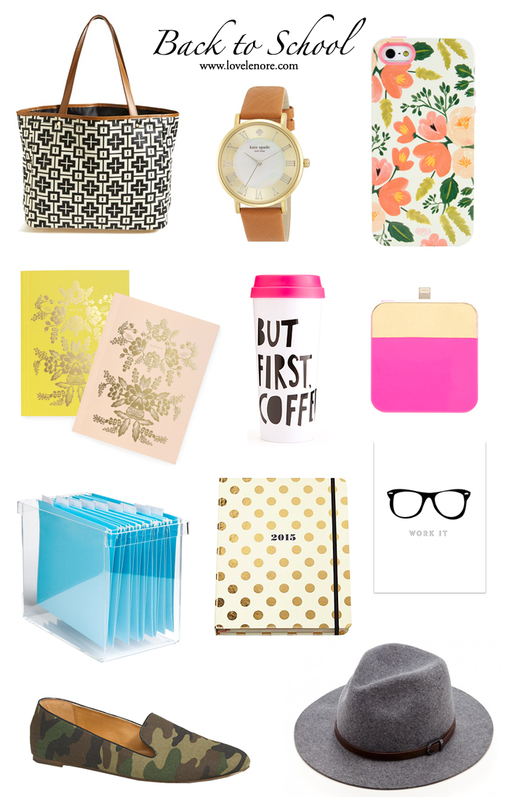 It's an exciting time of year style-wise with that summer-to-fall transition approaching, and I always love the little 'extras' too like planners, coffee mugs and desk accessories.